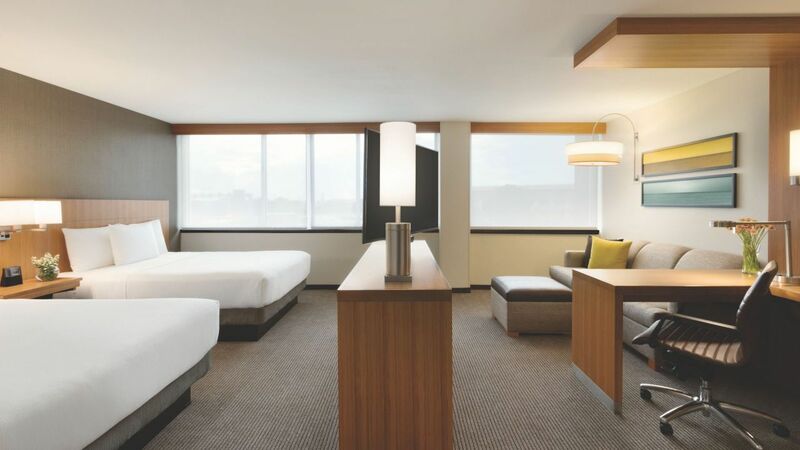 Settle in at Hyatt Place Chicago / O’Hare Airport, where you can count on spacious rooms, and conveniences and comforts such as minifridges and Grand Hyatt Beds. 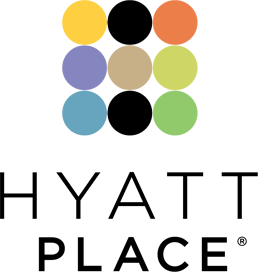 Whether you are traveling for business or leisure, you will certainly find your accommodations comfortable. Our spacious 329 sq ft high floor studio features a divided living and sleeping area with a sofa-sectional sofa bed and two queen plush beds. 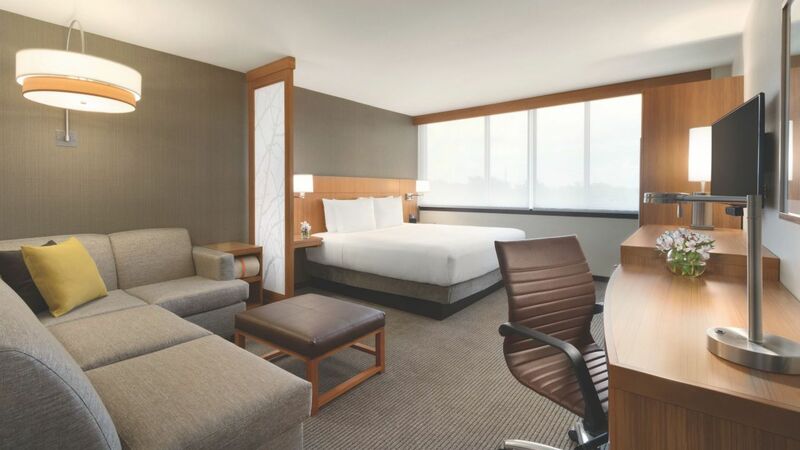 Our spacious 291 sq ft high floor room features comfortable furnishing including a couch with sofa bed and a sleeping area with one king plush Hyatt Grand Bed™. 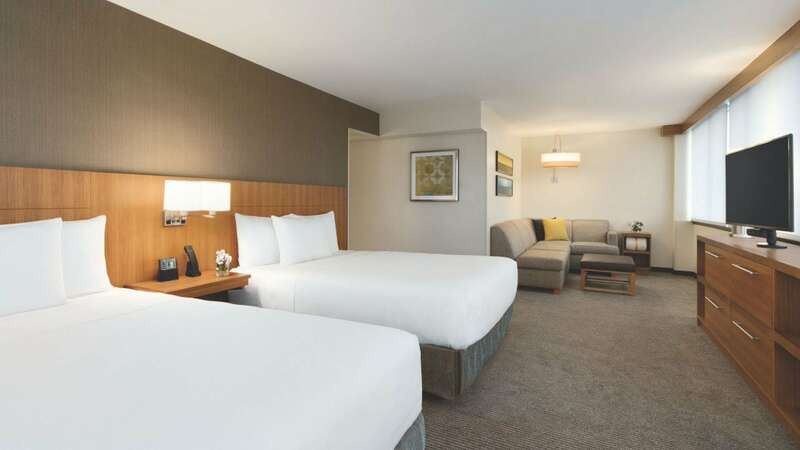 Relax and enjoy this spacious 291 sq ft room, including one king Hyatt Grand Bed™ and our Cozy Corner with sofa-sleeper, perfect to sit back and relax. Feel relaxed and enjoy this 291 sq ft room, including two queen-sized Hyatt Grand Beds™ and our Cozy Corner with sofa-sleeper. 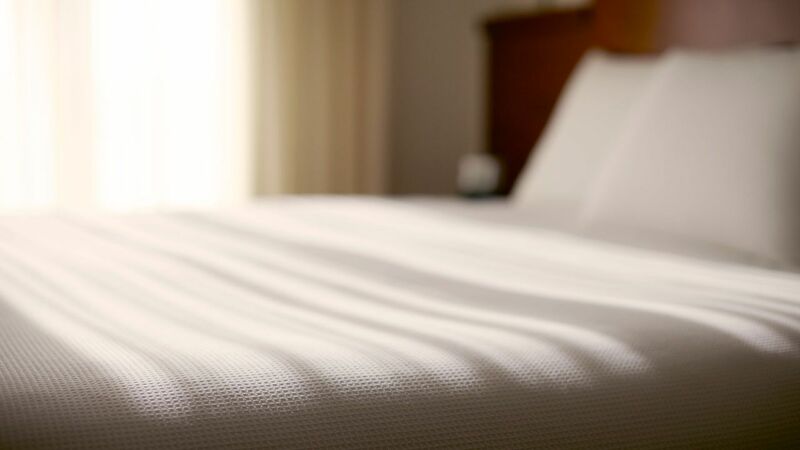 Feel relaxed and enjoy this 291 sq ft room, including two queen-sized Hyatt Grand Beds™. This 683 sq ft ADA-compliant room includes one king-sized Hyatt Grand Bed™, accessible bathtub with hand rails, and numerous ADA-compliant amenities and features. This 683 sq ft ADA-compliant room includes two queen-sized Hyatt Grand Beds™, accessible bathtub with hand rails, and numerous ADA-compliant amenities and features. 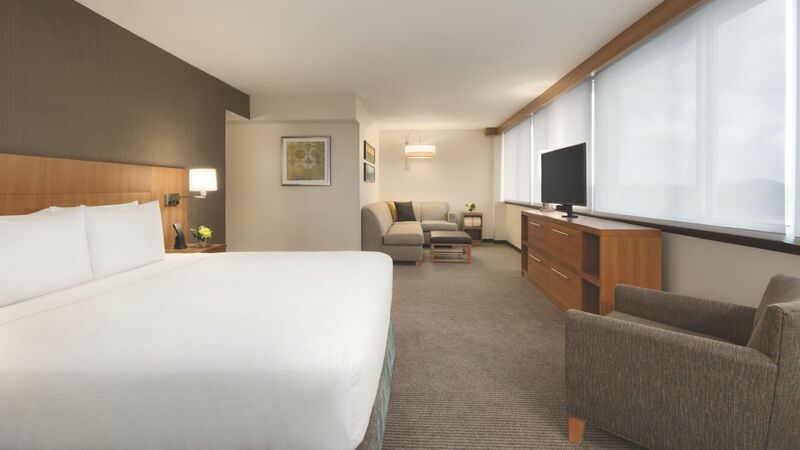 This 683 sq ft ADA-compliant room includes one king-sized Hyatt Grand Bed™, accessible shower with hand rails, and numerous ADA-compliant amenities and features. This 329 sq ft ADA-compliant room includes two queen-sized Hyatt Grand Beds™, accessible bathtub with hand rails, and numerous ADA-compliant amenities and features. This 329 sq ft ADA-compliant room includes two queen-sized Hyatt Grand Beds™, accessible roll-in shower, and numerous ADA-compliant amenities and features.